Acacia has reported a 13 percent decrease in its gold production during Q1 2019 due to issues at its North Mara and Buzwagi mines. 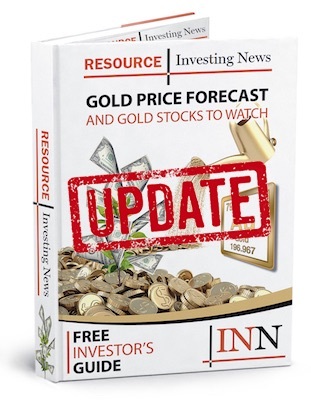 Acacia Mining’s (LSE:ACA,OTC Pink:ABGLF) gold production slipped 13 percent during the first quarter of 2019, mainly due to lower output from its North Mara and Buzwagi mines, the company announced on Monday (April 15). Although the Tanzania-focused miner only managed to produce 104,889 ounces of the yellow metal during Q1, the 104,985 ounces that were sold during that time were in line with production. “While historically our production is typically stronger in the second half of the year, production this quarter was impacted by unanticipated production issues at our North Mara mine,” said Peter Geleta, interim CEO, in a press release. North Mara, which consists of the Gokona underground mine and the Nyabirama open pit mine, produced 66,324 ounces of gold by the quarter’s end — a 14 percent year-on-year decline. In December, Gokona experienced a fall of ground that caused many problems for production, including blocking access to two higher-grade stopes. This led to a decrease in head grade to 3 grams per tonne, which was below expectations for the quarter and 19 percent lower year-on-year. At Nyabirama, an excavator broke down, causing issues there as well. In March, Acacia responded to the matter by introducing a revised mining plan for the underground and open pit mines. Another mine to see a fall in production was the Buzwagi mine. Its production dropped 20 percent from Q1 2018 to a total of 28,577 ounces gold for the quarter; however, this was in line with expectations, because the mine transitioned to a lower-grade stockpile processing operation in 2018. Despite the production decrease from the two mines, Geleta said that the company remains optimistic for the rest of the year and is expected to deliver against its full year production guidance of 500,000 to 550,000 ounces. In positive production news, Acacia reported that its Bulyanhulu mine had an output of 9,999 ounces of gold for the quarter — a 17 percent year-on-year increase that was also in line with expectations. The company owes the rise to the higher grades recovered from the retreatment of tailings, as well as improvements in plant throughput. Due to the lower production, the miner noted that its cash balance stood at about US$99 million as of March 31, a decrease of US$17 million in net cash over the quarter. The first quarter also included a proposal with the Tanzanian government in order to settle an ongoing dispute between the country and Acacia. Shares of Acacia climbed over 12 percent on February 20, when Barrick Gold (TSX:ABX,NYSE:GOLD) announced that it had put forth a plan involving a US$300 million payment to resolve tax claims from the East African country. The miner believes that it will soon be receiving a detailed proposal for a comprehensive resolution to the dispute at hand once Barrick’s negotiations with the Tanzanian government have concluded. As of 1:23 p.m. EDT on Monday, Acacia was trading at GBX 167.60.